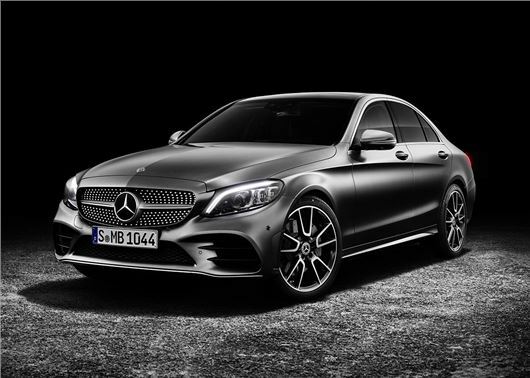 Mercedes-Benz will launch the updated C-Class at the Geneva Motor Show. The executive fleet favourite gets styling tweaks, improved connectivity and improved hybrid tech for 2018. It'll start from £31,000 when it arrives in August. Mercedes-Benz hasn't released any details on engines, but the 2018 C-Class is expected to have cheaper fuel costs, with reworked petrol and diesel engines providing better economy and lower emissions. As before, the C-Class will predominantly be rear-wheel drive, while 4Matic all-wheel drive will be available as payable option. A new plug-in hybrid model will headline the updates, with an all-electric range 30-40 miles and low, BiK-friendly emissions. The exterior gets subtle updates, with new bumpers, headlight clusters and taillights. High performance Multibeam LED headlights are now available as an option while all models get keyless start as standard with a turbine-look styled start/stop button. Interior dimensions will remain unchanged, however, which means saloon variants will provide plenty of space for four large adults and 480 litres of boot space when the rear seats are in place. 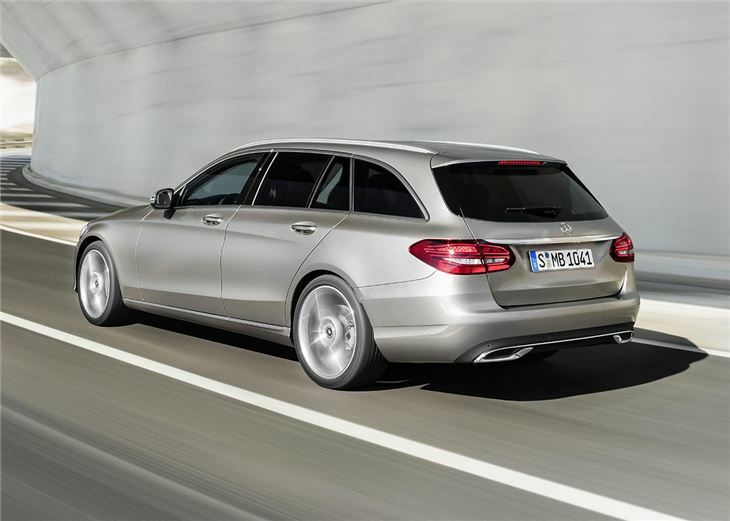 Estate models will add more practicality, with a square load area and 490 litres of storage. Mercedes-Benz is promising improved comfort with the 2018 C-Class, with a new climate control system that will work in conjunction with the massaging seats, lighting and media system to match or improve the driver’s mood. The latest Comand Online system should also take some of the stress out of driving, with photo realistic maps, real-time traffic updates and parking information. The dashboard layout echo that of the E-Class, with optional fully digital instrument displays. The infotainment screen above the centre console is now available in two sizes - 7.0 or 10.2-inch - while functions like heated seats can now be operated by voice control. A new steering wheel, with touch-sensitive controls that will respond to swiping motions like the screen of a smartphone, should make it easier to access in-car system without removing your hand from the wheel. Mercedes-Benz has also ditched the old steering column stalk for cruise control and added a button to the wheel. 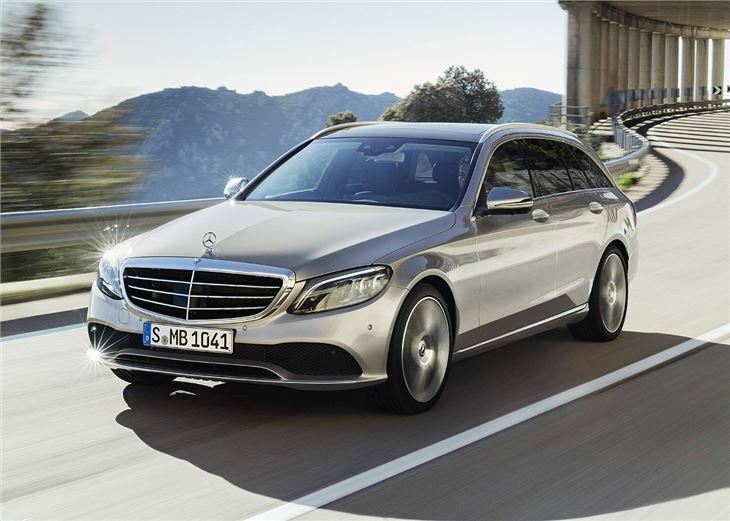 The C-Class will be capable of semi-autonomous driving. Improved camera and radar systems allow it to see up to 500 metres ahead and automatically adjust its speed to follow slow moving traffic. It can also also read navigation maps to adjust its speed when approaching bends, junctions or roundabouts. Active braking will also be fitted as standard, applying the brakes when a rear or front end collision is detected. The system will also slow or stop the car if it detects crossing pedestrians and cyclists. 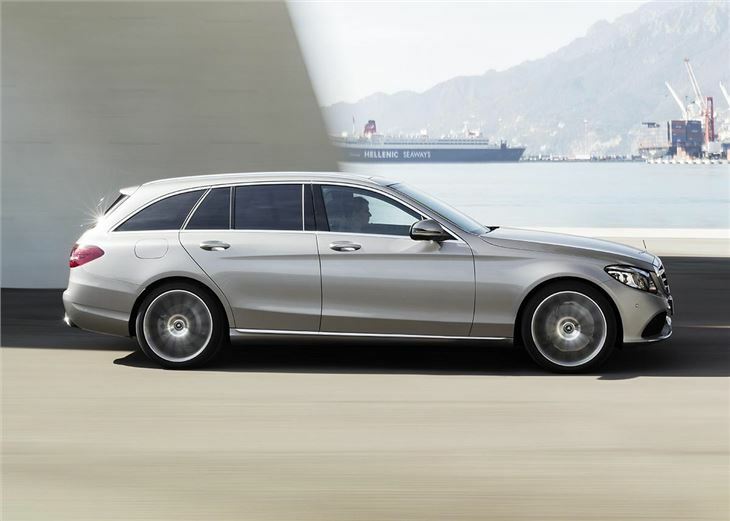 The 2018 C-Class estate and saloon will join the all-new A-Class at the Geneva Motor Show, where prices, specs and details will be revealed in full.